This presentation demonstrated 3D animations of past key scienctific and technological inventions reconstructed in virtual space from manuscripts and how the intellectual revolution of early Islam was the result of a self-propelling organically growing culture, which combined economic and religious incentives. This vibrant knowledge based society lasted for hundreds of years despite political and religious turbulence. The concept of [faith (Imanإيمان ) as input and beneficial knowledge (I’lm Nafi’علم نافع) and useful work (A’mel Salleh عمل صالح) as output] became the engine driving individuals, male and female, to invent, innovate and achieve scientific and economic progress whilst embracing different faiths and cultures in Muslim civilisation. Examples of such achievements still influence our modern homes, schools, hospitals, towns, markets and other aspects of our lives that were heavily researched into with some findings being made available by the 1001 Inventions: Discover A Golden Age – Inspire A Better Future exhibition and book . Unfortunately, there is a period of a 1000 years of missing scientific contributions from the education system. Almost in every subject taught in schools, there exists a jump from the Greek civilisation to the Renaissance, usually referred to as the “Dark Ages”. What seems to be predominantly in the minds of people about the Muslims and the Arabs of the time are the tales of 1001 Nights including characters such as with Sinbad the Sailor, Ali Baba and the Forty Thieves, Aladdin and the Magic Lamp and Flying Carpet etc. When in reality, Muslim civilisation made great strides in development, creation and innovation in science, technology and civilisation. This amnesia affects the minds of present and future generations and distorts their attitudes and perceptions of the role of other cultures, particularly those within the Muslim civilisation, in building the present civilisation. It is hoped that this presentation inspired the audience to re-perceive the so called “Dark Ages” in Europe and start viewing it as a “Golden Age” in places such as Baghdad, Damascus and Cairo where great women and men expressed their religious and social aspirations by undertaking useful work to improve the quality of life on this earth. FSTC is an international network of historians, scientists, engineers, educationalists and museum professionals working to popularise awareness of the historic roots of science. By highlighting role models from the past and how their achievements and inventions live on in the modern world, FSTC aims to inspire young people to pursue careers in science, technology, engineering and mathematics. FSTC is also the global partner of 1001 Inventions. 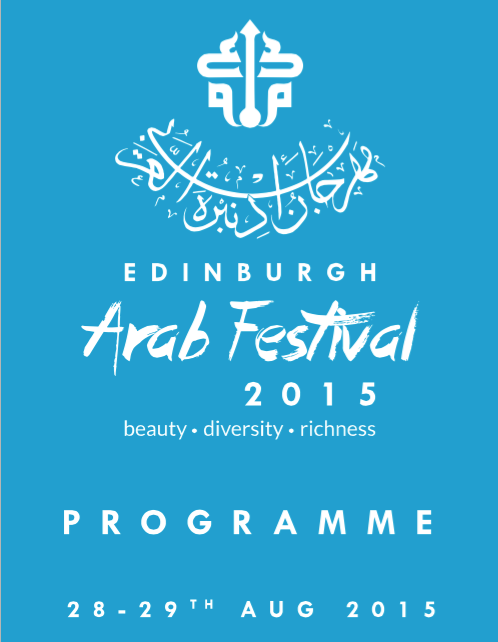 As part of the internationally renowned Edinburgh International Arts Festival, known as the Fringe Festival, the Islamic & Middle Eastern Studies Department at the University of Edinburgh is launching the first ever Edinburgh Arab Festival 2015 in Scotland. 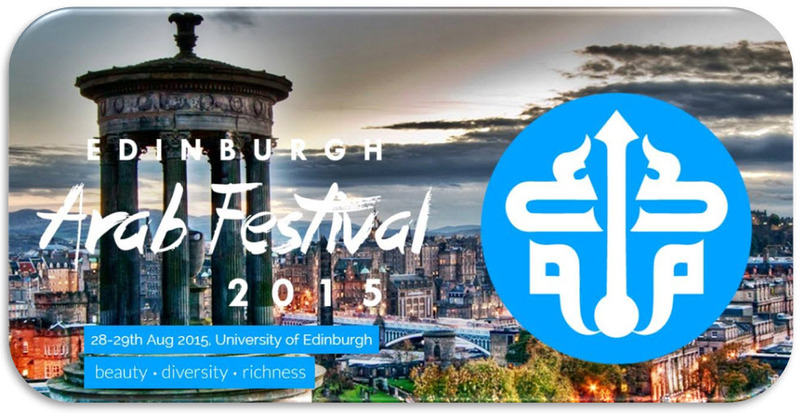 The event took place on 28-29th August and was located at a prestigious venue in the heart of the city of Edinburgh, during the most popular time of the Fringe festival. 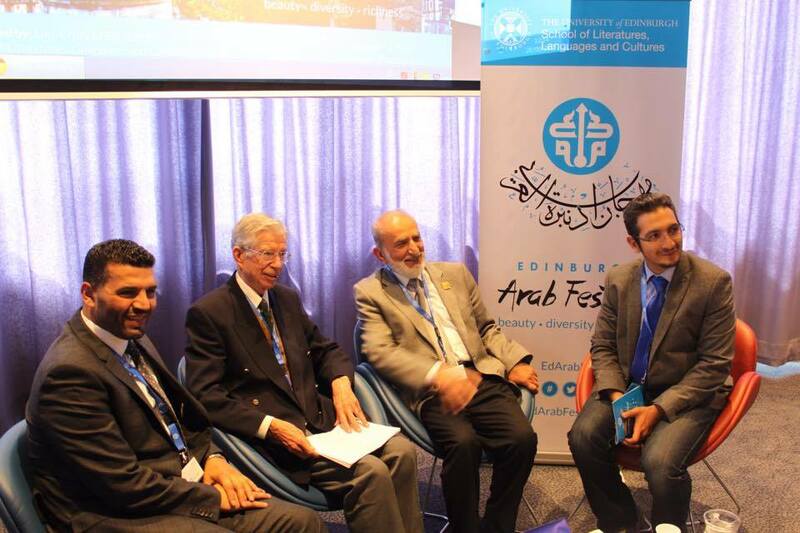 This year’s festival was a vibrant two-day event to introduce the rich cultural, literary and historical heritage of the Arab world to the public. There was a varied programme of events including a keynote speech by a high-profile speaker, exhibition and art galleries, live entertainment, food tasting and multiple live workshops in language, poetry, storytelling and art.